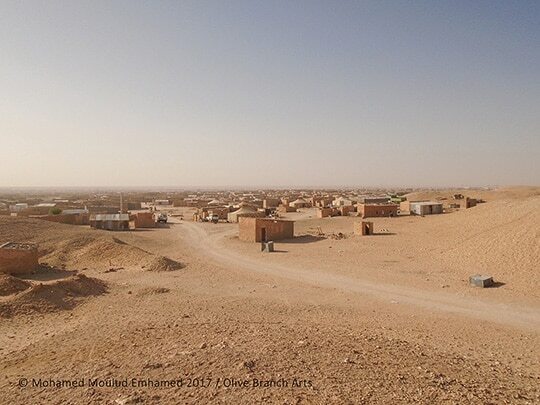 In October 2017 Play for Progress Dramatherapist & Co-Director of Olive Branch Arts Becky Finlay Hall and Photographer Emma Brown returned to the Sahrawi Refugee Camps in SW Algeria to run Olive Branch Arts’ first participatory photography training programme, ‘Sand & Vision’. Over 10 days participants built visual literacy and compositional skills, covered photo stories and grew to photographing abstract ideas, feelings and values, such as ‘how do you photograph freedom?’ Working with a small group of refugees, we are bringing their stories back to the UK and Europe to enable them to be seen and heard by a new audience. By offering participants a safe place to come together and learn new skills we aim to develop confidence in young refugees to enable them to visually document their own stories and reduce the isolation of a remote refugee community through the sharing of photography. The aim of our projects is to take the young people out of their everyday lives & offer some respite from an extremely difficult & challenging living environment. Our engagement shows them the outside world is interested and aware of their story and gives them a creative outlet to process their political and social experience. The Sahrawi strongly believe in the power of art & culture as a means of bringing their plight to an international audience and our projects arm them with the tools and skills they need to do this. This exhibition will also showcase Emma’s work in the Sahara as she has been documenting Olive Branch’s creative projects since 2012 it will also include some of her work from our recent visit to Pikpa Refugee Camp highlighting the work of Lesvos Solidarity. Olive Branch Arts offer a broad range of innovative arts-based experiences and training programmes designed to engage, challenge and support people of all ages and backgrounds, and look to create work of artistic excellence for, with and by the community. Through the exploration of multi-art forms, we aim to empower participants to find their voice, promoting social change and a deeper understanding of ourselves, and the world around us. 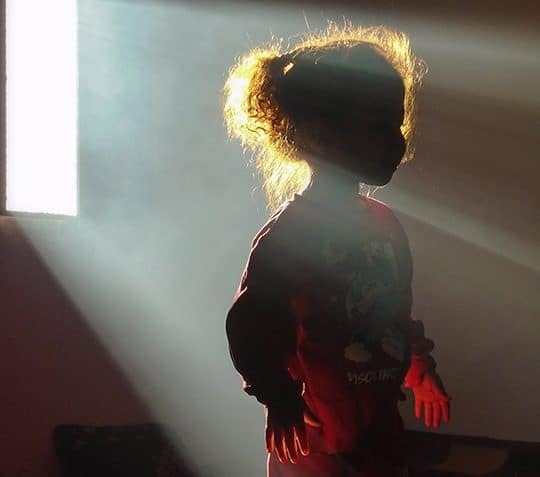 Olive Branch Arts have been creatively engaging with the Sahrawi refugee community since 2010; running annual youth-theatre residencies, working creatively and therapeutically with elders in the Land Mine Centre and with children and staff from the Special Needs Schools in the region. Emma is an award-winning portrait and humanitarian photographer. 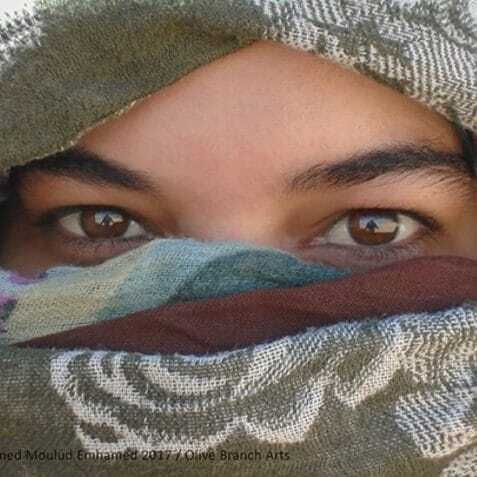 She has been working alongside Olive Branch Arts and documenting their work with the Sahrawi refugee community since 2012. As a visual storyteller, Emma is intrigued by the poetic character of people and looks for the beauty in imperfection and the small, seemingly unimportant and everyday things. Her calm and meditative approach to photography enables her to go almost unnoticed, allowing her to create lyrical, humanistic images. Emma’s photograph of two Sahrawi women collecting their rations on Smara refugee camp has recently won the UN World Food Programme Food for Life category at the Food Photographer of the Year Awards 2017. Western Sahara is the last colony in Africa and the site of a protracted territorial dispute between the Moroccan Kingdom, which claims sovereignty and the Polisario Front, the Sahrawi liberation movement that seeks independence. The majority of Sahrawis are refugees today in one of the harshest deserts in the world. Despite extreme hardships over more than 40 years in exile, the community has managed to build a democratically run nation in exile where women play a prominent role, defying Western preconceptions of Arab-Muslim societies.